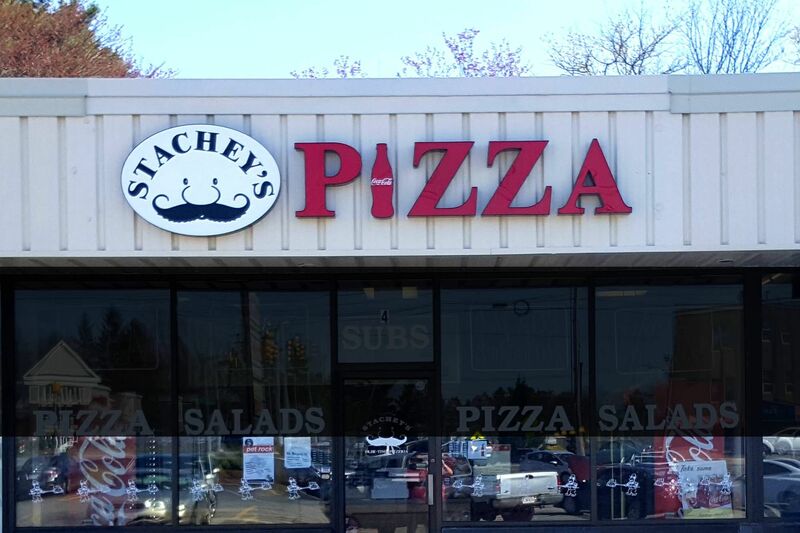 Stachey's Olde-Time Pizzeria with locations in both Salem, NH and North Andover MA. We deliver quality all day long! WE DO NOT TAKE ORDERS ONLINE, SO PLEASE CALL US AT THE BELOW NUMBERS. Additional $2.00 delivery charge per order applies. 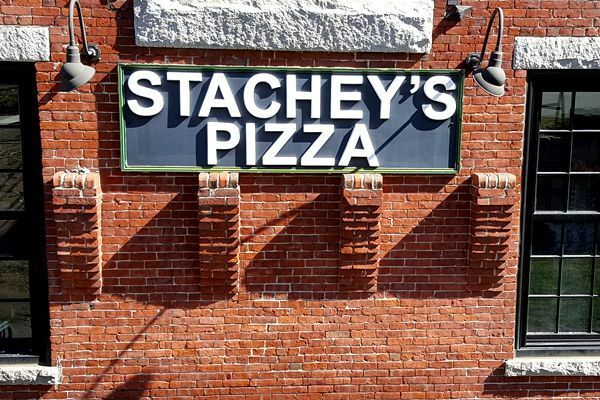 7% meals tax in North Andover and 9% in Salem not included. All prices subject to change without notice. Now serving beer and wine at our North Andover location.